naomese - naomi bardoff's art blog: my recipe is featured on TDAC! my recipe is featured on TDAC! 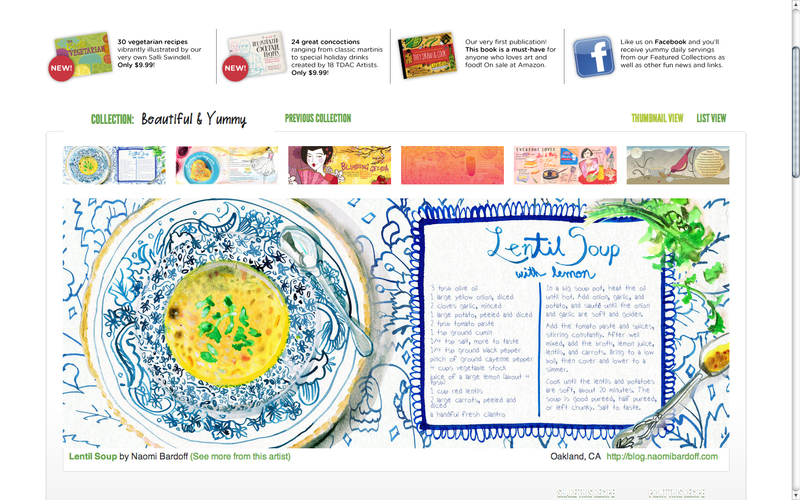 My Lentil Soup recipe is featured on the front page They Draw and Cook! When there is a new featured collection, this one will be archived on the featured collections page.